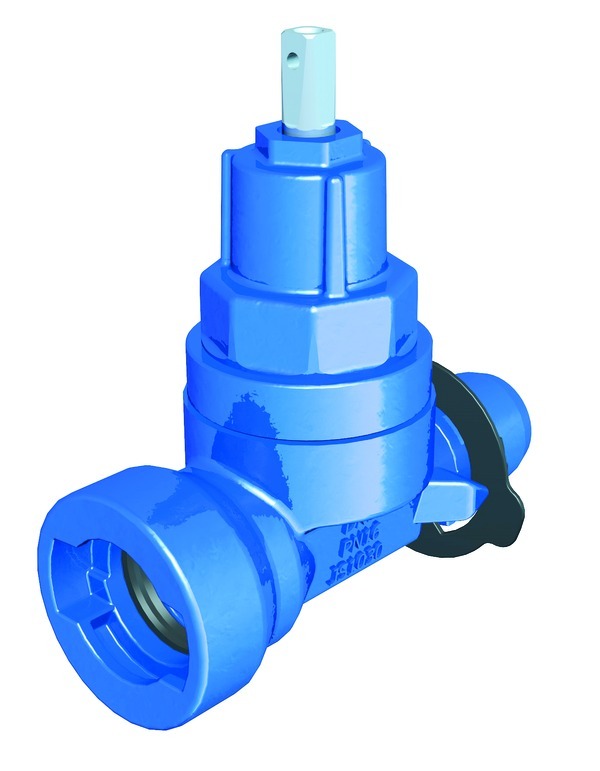 Resilient-seated gate valve with TERRA®lock spigot-end-socket plug-type connection. For the boltless plug-type connection in the VAG TERRA®lock system with flexible locking ring ensuring fast manual assembly without any threads. For use in the new installation and refurbishment of municipal water supply systems.